Below you will see a variety of options to purchase gluten-free items. Our goal is to connect you with as many gluten-free options as possible, so that you can choose what is best for you and your family. We do receive compensation off of the purchases you make from these links. Purchasing through these links adds no additional costs to you, but allows us to keep this site free to all of our viewers! We appreciate you putting your trust in us and supporting this website. The Gluten Free Mall specializes in gluten-free foods. They have hundreds of gluten-free foods right at your finger tips and you can't beat the free shipping of dry orders over $39. Vitacost originally know for their discount vitamins and supplements. They are now paving the way for affordable, high quality health foods, beauty products & more. They have fantastic customer service, with a no hassle refund policy. Plus with free shipping over $49, you can't go wrong. iHerb is know for their large variety, high quality, satisfaction guarantee products. They offer supplements, beauty products, pets, home, grocery, and more. You can't go wrong with free shipping with any purchase over $20. Farm Fresh To You brings the season’s best mix of organic produce and specialty farm products conveniently to your door by growing and partnering with local farms and artisans in your area. Each delivery comes with farm news and recipes! 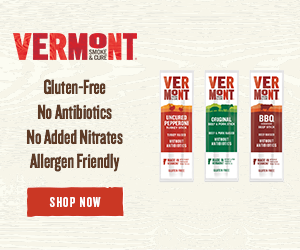 Vermont Smoke & Cure®, they’ve been consciously crafting delicious smoked meats and meat snacks since 1962. They use responsibly sourced meats and simple ingredients, spices and herbs to create the finest flavor in every bite. SeaBear offers super-premium pure / natural / wild / sustainable seafood, from clear cold Northest waters.They prepare it in small batches at their own smokehouse in the waterfront village of Anacortes, Washington. 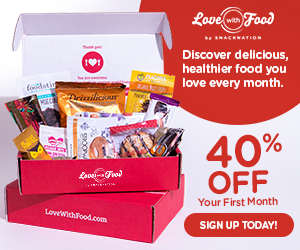 Love With Food is a subscription where you can get gluten-free snacks shipped right to your door every month. This is a great way to test a variety of gluten-free foods at affordable prices. They have specific guidelines on the foods that they choose and leave out the chemicals, artificial flavoring, MSG and high fructose corn syrup. Every snack passes their 73 Banned Ingredients List. Tasterie is a monthly subscription of gluten-free and allergen free snacks that are shipped directly to your door. This is gives you a great opportunity to test a variety of gluten-free foods and find your favorites. 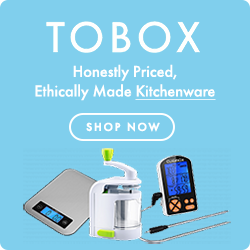 ToBox allows you to replace those kitchen items that have been contaminated with gluten. They are quality products, large variety, and affordable price. Gabriel is a high quality, affordable cosmetic and anti-aging line. They are known for their earth tone, natural looking base colors, along with their "10 free" nail polish selection. 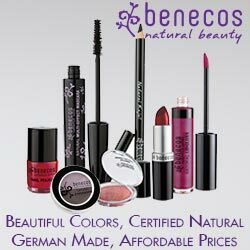 All of their products are 100% natural, certified gluten-free, cruelty-free, vegan, and paraben free. They have a complete ingredient list posted with every product. 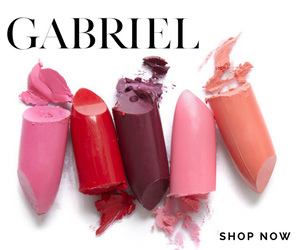 Gabriel is a great option for replacing your former gluten-containing cosmetics. Zuzu Luxe comes from the same company as Gabriel, but was birthed to offer more European inspired colors. It offers brighter colors with that shimmer to bring brightness and definition to your skin. They offer the same commitment of being 100% natural, certified gluten-free, cruelty-free, vegan, and paraben free. They have a complete ingredient list posted with every product. 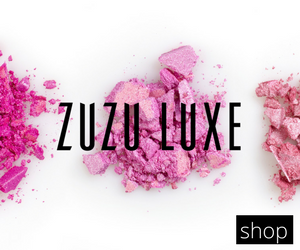 Zuzu Luxe is a great option for replacing your former gluten-containing cosmetics. True Natural offers gluten-free options. They offer skincare, cosmetics, sun/tan, hair care and more. All of their products are formulated without: methylparaben, butylparaben, ethylparaben, propylparaben, dimethicone, polymers, BHT, formaldehyde, synthetic fragrance, synthetic colors, mineral oil, petrolatum, triethanolamine, mercury, cadmium, and other heavy metals. On the left side bar under certifications, you will find a section for gluten-free products. 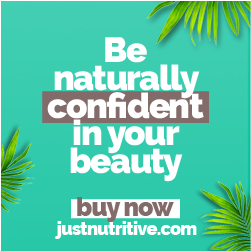 Just Nutritive are hair and skin products for all ages. They use pure plant oils, butters, botanical extracts and essentials from the best that nature has to offer. They range from tanning lotions, hair care, anti-aging, men's products, and even pet care. They offer gluten-free, cruelty free, and vegan. Since I live in a small town and the closest large grocery store is 20 minutes away, I find Amazon Prime to be one of my go to for purchasing gluten-free items. Amazon is used for all sorts of home delivery options; between their 2-day shipping and recurring Subscribe and Save, you just can't beat it. Click here to learn more and start a free 30 day trial. Skip the grocery line and have your groceries delivered directly to your door. Amazon Fresh is up and coming. Click here to check and see if your area is receiving shipments for Amazon Fresh.